Flexible, quick and easy to use. 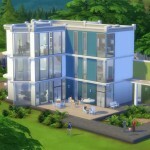 Those are the basic principles in The Sims 4 Build Mode. 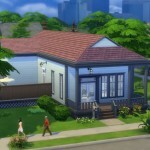 In The Sims 4, players finally have the building experience that they´ve asked for. They completely remade the way we build in the new game. The whole experience is more powerful and frankly a lot more fun. The main difference in the new Build Mode is how fast and easy you can change something. You can pick any building element (such as a wall, stairs, roof, or even a whole room) and stretch it, twist it and move it without having to erase everything and start all over again. Foundations were always a problem if you wanted to add them later on or attach them to your house. 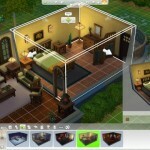 In the Sims 4 you can add them at any time during the construction process. Select one of the eight heights, and the whole structure is changed in an instant. 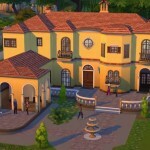 In the previous games the building process to design a new house was time consuming. With the new Build Mode, players can realize their vision faster than ever before. 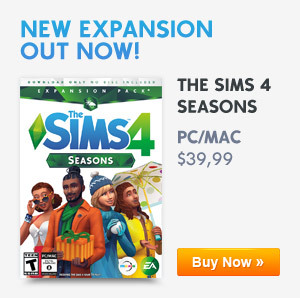 With one click of the mouse you can add windows to a whole room, or place all the fences on the porch. There will be plenty of new features to discover. 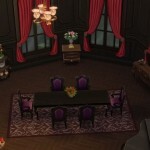 Learn how to create a split level room! Want to build even faster? 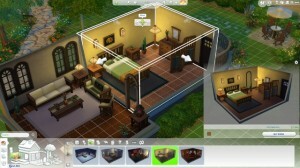 They added a brand new section: Styled Rooms. Browse the section “Styled Rooms” in the Build Mode and select bathrooms, bedrooms and plenty of other rooms already built and furnished. Choose a room from the catalog and place it where you want. The room is furnished, but you still have full control over the adjustment of the room. You can stretch and rotate it, repaint it, or rearrange the furniture yourself. Furnished rooms can be used by both beginners and advanced players; either as a quick way to put a beautiful home together or as a starting point for decorative inspiration. If you want to build venues/community lots there are some minimum requirements so that they can function properly. Placing objects is now much more intuitive. To give a few examples: chairs can be centered, even if they are not aligned with the grid, and columns can now be placed directly into fences and walls. Now you have more control over the placement of wall objects such as windows and TV’s (and your Sims will stretch their necks to see the television you hung so very high on the wall). 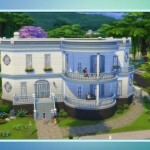 They´ve added completely new build options to play with; each part of each roof can be stretched to create numerous heights, curves, and eaves. There are also three different wall heights to choose from, and you can adjust each storey to have a different wall height! This is so much fun to play with and it helps to make buildings more realistic and to make it more unique. You could use the high walls on the first floor have a grand entrance or you could put a loft on the top floor with a low wall. The options are endless when it comes to building houses.